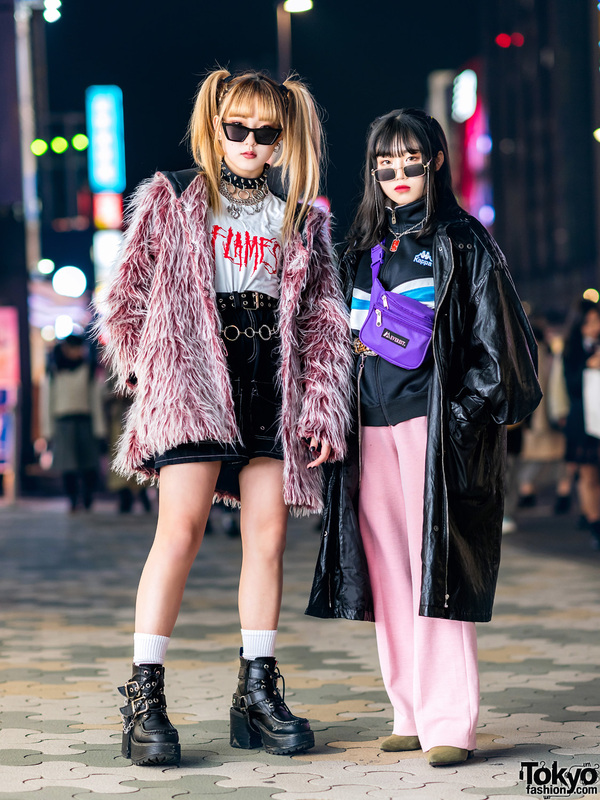 Adding a dash of color to Harajuku was 19-year-old Sakura, whose use of bold colors caught everyone’s attention. 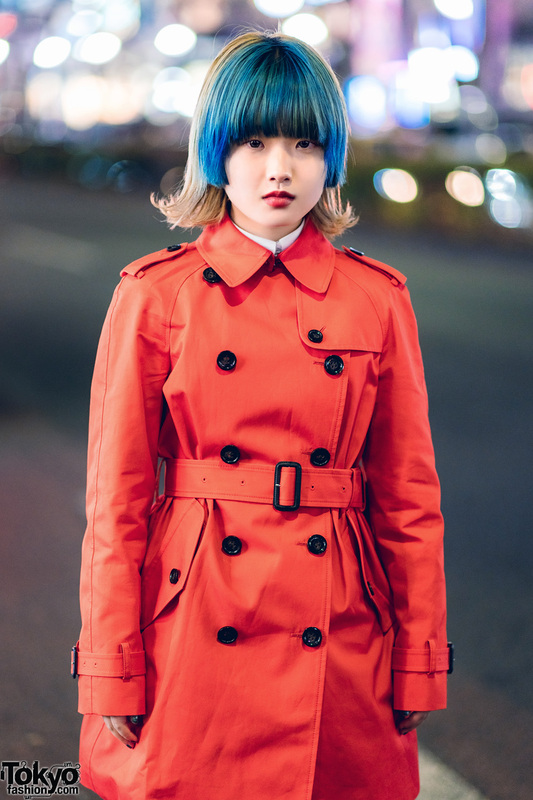 The beauty school student stepped out in a Coach bright orange trench coat with a belted waist and a double-breasted silhouette. Sakura wore it over a crisp white top and a vintage long black skirt. She also wore white tights and H&M x Eytys chunky black lace-up boots. 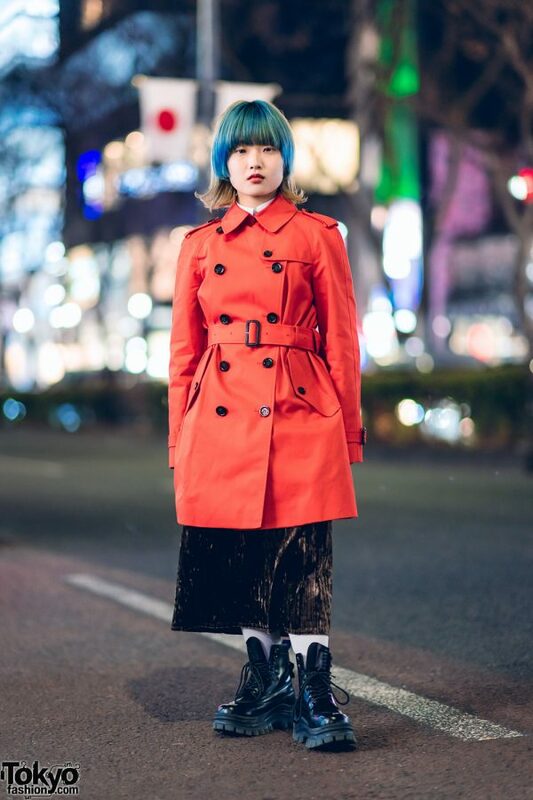 Red lips and a blonde bob with blue bangs provided the finishing touches to her look. Sakura enjoys listening to house, techno, and hip hop music. She also posts social media updates on Instagram.